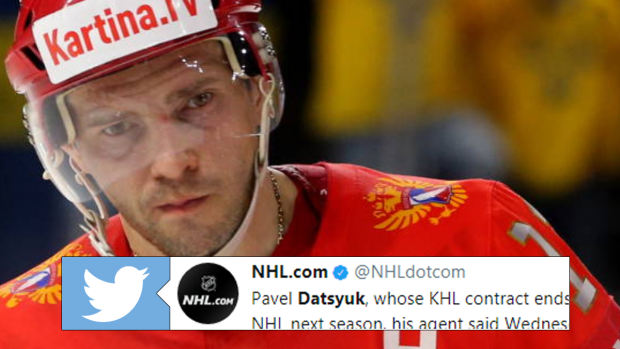 Pavel Datsyuk’s playing days will likely be coming to an end fairly soon. He is 40 years old, and no matter how talented you are, father time always catches up. Just ask Jaromir Jagr. Saying that, Datsyuk isn’t quite finished yet. Not if he has anything to say about it. Okay, so he’s not set to retire. What does that mean for his future? Is an NHL return possible at this point? "I'll tell you one thing, Pavel is not ready to finish hockey in the coming years. The decision is his - whether to leave for America, whether to play further in the KHL." NHL fans will take it. While the league has moved forward without him, the occasional highlight emerges out of the KHL reminding us just what the Magic Man is capable of with a stick and the puck.